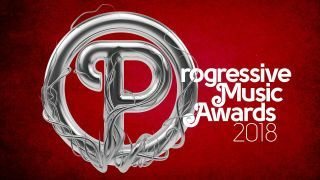 Here are all the nominees for the seventh annual Progressive Music Awards. The event takes place at the Underglobe in London, on the site of Shakespeare’s Globe Theatre, on Thursday September 13. There are 15 awards up for grabs this year, eight of which we ask you, the readers to vote for. The remaining seven chosen by the magazine’s editorial team, and are as follows. All these awards are created with the aim of heralding those artists that have taken progressive music ever onward over the last 12 months. Make your pick for each category. There’s one category per page. Move on to the next category after you’ve registered your vote... and thanks for taking the time to get involved. Voting closes at midnight GMT on August 24.